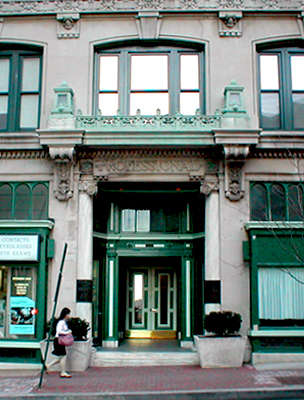 Program: Convertan historic office and retail building on North Charles Street, built in 1885, into a mixed-use apartment building. In 1987 it was declared a historically significant contributing structure in the Cathedral Hill National Register Historic District. 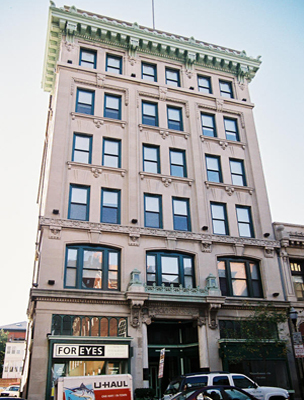 The development is part of a continuing effort to revitalize Downtown Baltimore. 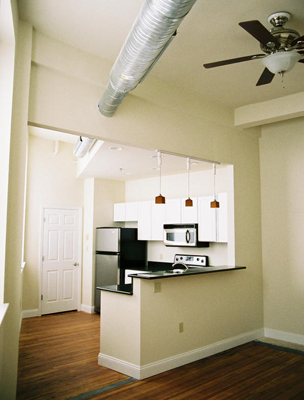 The project utilized rehabilitation tax credits. 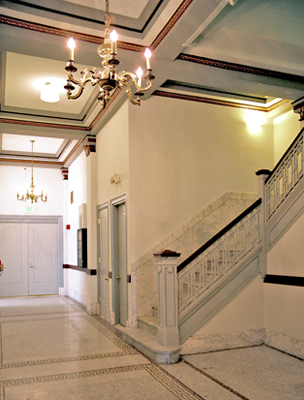 Design Approach:.Historic features such as the marble tread staircase, which is open from the first to the sixth floor, as well as the existing lobby with coffered ceilings, have been preserved. New residential unit layouts feature newly exposed coffered ceilings, and large windows allow sweeping views of downtown and Cathedral Hill. 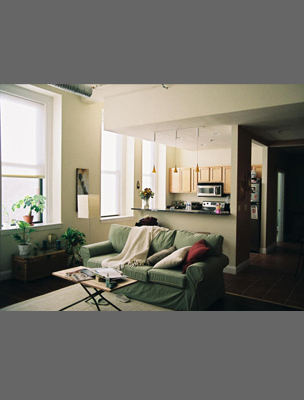 Unit sizes range from studios to two bedrooms. Challenges include code compliant egress and reconciling modern code and systems requirements withhistoric preservation standards. Responsibilities: ArchPlan surveyed existing conditions and prepared a feasibility study for adaptive reuse of the building and prepared a full set of construction and bid documents.